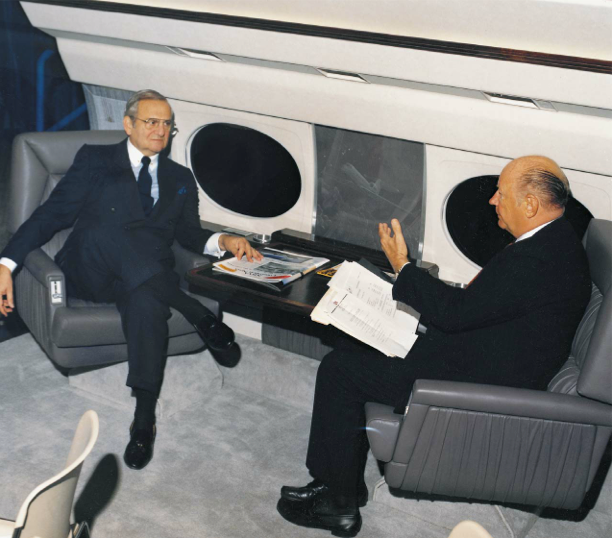 Chrysler Chairman Lee Iacocca (L) listens as Allen Paulson lists the qualities of the Gulfstream IV. The year is 1986, the setting a GIV furnishings mockup at the NBAA convention. Selling aboard any of his Gulfstream aircraft—even a mockup—is something Paulson loved. Allen Paulson was born on April 22, 1922 and died on July 19, 2000. He was a superachiever and was certainly a man worthy of recognition. And recognition of individuals and activities in the aerospace industry is key to the editorial philosophy of this magazine. Few people on this planet who came from lowly beginnings can actually see their opportunities, seize them, bet all they have on their judgement and come out winners. Allen Paulson was one of those rare individuals. Mechanic, aerial junk dealer, pilot, salesman, innovator, entrepreneur, visionary and CEO, his accomplishments have touched all of us in corporate aviation. The seeds he planted will affect our future. Under Allen’s hands-on, soft-spoken but always determined management, the Gulfstream jets became the undisputed, most sought after airborne chariots for corporate executives. He looked ahead to the world of supersonic business jets. I’m convinced his early work with Sukhoi will soon bring us into that realm. Allen Paulson was a great planner who read the tea leaves of today to build for our good tomorrows. As the founder of a magazine built on giving recognition, I felt compelled to give this salute to Allen Paulson. Many knew him better than I did but none admired him more. Murray Smith, editor and publisher, Professional Pilot magazine. A MEMORIAL ARTICLE BY CLAY LACY. Best man Lacy shakes hands with groom Paulson after his December 21, 1988 marriage to the former Madeline Farris in Savannah GA.
Allen Paulson left Clinton IA at age 14, after winning $100 at a bingo game and purchasing a bus ticket to California to join his older brothers. Getting up at 5:00 am to milk cows, he paid for room, board and school supplies. At 19 he was hired by TWA as a 30¢-an-hour apprentice mechanic. During WWII he signed up with the Army Air Corps. Cadet Paulson was sent to study engineering at the University of West Virginia. Although the war ended before he could enter flight training, he later took advantage of the GI Bill, earning his pilot’s license at VNY (Van Nuys CA). Returning to TWA as a licensed mechanic, he was involved in supporting the Constellation fleet and flew Connies as a flight engineer. It was about this time that his entrepreneurial instincts began to take hold. Allen got more and more into the parts business. By 1958 he had started buying large airline equipment. The first aircraft he bought for resale were 3 Convairs. Later, he became the first guy to get involved in buying Super Constellations when TWA began surplusing them in 1959. At one point, he probably owned more 4- engine airliners than any company ever had. He certainly owned more Connies than any single airline. He began to buy up used Convair 880s and 990s (owning as many as 30 of them) for conversion into cargo aircraft. At one point, on the airport in Lancaster CA, he had about 30 acres of cast off airplanes jammed about as close as you could put them. I worked with Al every minute I was not flying for United, and did I have fun! I was like a kid in a candy store—he had Beech 18s, Martin 404s, Convairs, Lockheed Constellations and Lodestars, de Havilland Doves, Douglas DC3s, DC4s, DC7Bs and other aircraft. Becoming involved with Learjet in its formative years is what got Allen into business aviation. It led him eventually into the acquisition of both Grumman’s Gulfstream operations and Rockwell’s Aero Commander programs. 1950s: Paulson surveys his 30 acres of Connies and Convairs. In 1963 I became interested in Bill Lear’s Learjet 23 development and made many trips to Wichita. Bill planned factory direct sales but he was running short of money and realized a distributor program could bring in immediate orders and deposit money. So I talked to Al about the distributorship and tried to get him to the factory in Wichita. In Wichita, Al took a flight in the Lear 23. It got him really excited. He quickly negotiated a Learjet distributorship for 11 western states, which he operated under California Airmotive. We got our first Learjet demonstrator, s/n 012 (which I’m still flying today), and I went to work for Al as manager of Learjet sales out of VNY. We sold 12 aircraft the 1st year and a new company, Pacific Learjet Sales, was formed with comedian Danny Kaye as a partner. In 1966 a couple of accidents, combined with the loss of tax investment credit, really cooled Lear sales. Bill Lear sold the factory to Gates Rubber Co and wanted factory direct sales, so the distributorship was sold to Gates and Al continued with his core business of airliners and parts and I started my own charter business with 1 Lear 24. During the 1970s Allen continued his parts business and created American Jet Industries, in part to build his Hustler design. But times were changing. It was becoming more difficult to certify a new aircraft and the program never made it to production. It wasn’t long, though, before new opportunities surfaced. Allen was negotiating with Rockwell to buy its Commander division. The deal was proceeding when the chairman of Grumman heard about it. He called Al and asked him, “How would you like to buy the Gulfstream program?” Allen spent a long weekend flying back and forth across the country firming up his financing. He ended up taking over Gulfstream in September 1978. Later, in February 1981, he added the Commander line to his aircraft business. Paulson bought Savannah-based Gulfstream for about $58 million. The deal included some 180 acres of land, the factory and all tooling, 6 or 7 new GIIs that were on the property and the GIII program which Grumman had placed on hold. About 1500 people were employed at the plant at the time. 1978: Paulson acquires Gulfstream. The pursuit of excellence begins. Gulfstream was running at a loss but it didn’t take long for Allen, and the marketing team he put together, to turn the company around. Allen was proud of the fact that his new Gulfstream Aircraft Corp became profitable in the 1st year of ownership. GIIs were then selling for about $4 million and the 1st 40 GIIIs had been guaranteed at a price of $7.5 million. After they’d sold the 1st 40 GIIIs, Allen raised the price to $8.5 million and soon the price went up to $9.5 million. Finally they were selling for $12 million a copy. 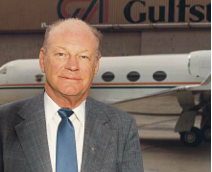 It was Al who established the 1st Gulfstream completion and support center. 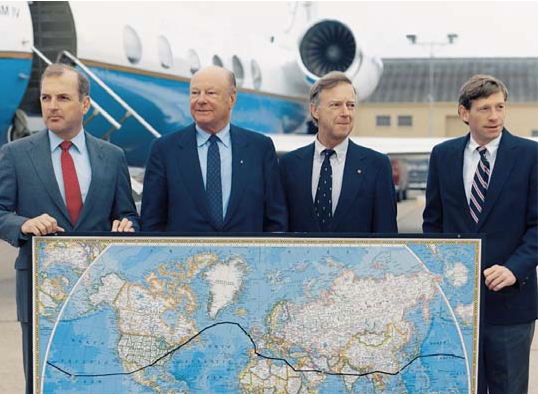 At an early 80s Paris airshow, Paulson announced Gulfstream’s plan to build the now hugely successful GIV. To get the deal moving, he scribbled a contract on a napkin during lunch with Sir Ralph Robins of Rolls- Royce. The contract covered an initial batch of 200 Tay engines. Allen took his company public in 1983, selling 80 million shares. The offering netted $90 million in cash. He retained personal shares worth over $400 million. Now named the Gulfstream Aerospace Corp, the company had quickly grown to more than 4000 people, becoming one of Georgia’s largest employers. Allen Paulson and crew captured 2 back-to-back world speed records to demonstrate the capabilities of the new GIV. He flew westbound first, from the 1987 Paris airshow; then, 8 months later, topping a record I set in a Boeing 747SP, he flew eastbound from Houston. The flights established, or beat, 35 international speed and distance records. These records stood until the early 90s, when 1 record was topped by a Concorde. 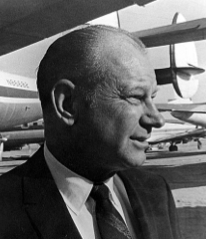 Over the time he owned Gulfstream, Allen made it a successful company and one to be admired. In 1985, he sold the company to the Chrysler Corp for $750 million but continued running it as CEO and president. This marked the first time in almost 50 years that Allen Paulson was on someone else’s payroll. In 1989 he and Ted Forstmann bought the company back, and continued as the company’s CEO until he retired in 1992. Gulfstream IV record flightcrews. 1987: Westbound from Paris: (L–R) Copilot John Salamankas, Capt Paulson, Capt Bob Smyth, Copilot Jeff Bailey. 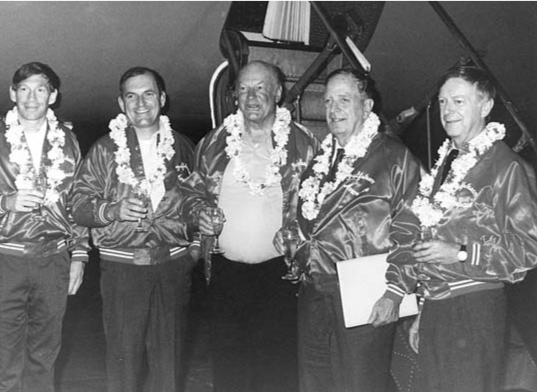 1988: Eastbound from Houston: (L–R) Capt Bailey, Copilot Salamankas, Capt Paulson, NAA Observer Ev Langworthy, Capt Smyth. Allen was always a real “charger.” He hardly ever let problems slow him down. He looked at the positive side of everything. If anyone told him he couldn’t do this or that, he’d study it, find a solution and achieve the objective. Anyone who knew Allen would tell you that he was always a very, very positive man about everything he tried to do (or help someone else do). After knowing him for almost 40 years, I believe there were 3 important keys to Allen’s success in business and in life. Firstly, he was a very hard worker. For him 10 to 12 hours a day was normal routine. If things were tough he’d work even longer hours and then run everything through his mind at night. Secondly, he was smart and was a highly practical, adventurous businessman. Probably the greatest key to success was that he just never looked back. He was always looking forward, constantly open to new possibilities and opportunities. This vision of the future was very well embodied in his initiative and commitment to the supersonic business jet concept. Back in 1987, when Al was CEO of Gulfstream, he investigated a joint venture with the Sukhoi Design Bureau to build a supersonic business jet (SSBJ), a project he believed must happen as current jets have hit the wall on speed. Over the years, Al continued to pursue the project actively and he worked to create a new level of interest in SSBJs. He really wanted to see the concept become a reality. Allen Paulson was a great friend and inspiration to me and to many others. Very often he was the pacesetter for the aviation community. He made things happen and wasn’t afraid to get involved in what he believed in. One day we’re going to have these long overdue SSBJs, and I believe that when this happens it will be due in large part to Allen Paulson’s early leadership, passion and pioneering efforts. Clay Lacy has more than 47,000 hrs of flying experience in everything from DC3s to Boeing 747- 400s and nearly every type of corporate aircraft. His VNY-based Clay Lacy Aviation is home for Lacy’s popular charter fleet, which includes everything from Learjet 24s up through a GIISP and Boeing 727. In many ways, Clay Lacy’s own success story was tied to his early association with Allen Paulson. Hence, it is fitting that this memorial piece has been captained by Lacy, close friend and early of Allen Paulson. It was 1969 when I met Allen. Paulson for the 1st time but 5 years passed before I joined him as a salesman for his company American Jet. From the very beginning I was taken by his very notable but very low-key desire to become someone of real significance in the aviation industry that he loved. He certainly did just that. During our early years together, I was impressed when he gave every one of his managers a copy of his favorite book, The Power of Positive Thinking. He did this more than once for the people of the other companies he led. In the years that followed, many of us believed he not only lived the teachings in the book, he could have written it! The Horatio Alger Association was honored to present Allen Paulson with the Horatio Alger Award in 1985. This award is presented to outstanding Americans who have overcome humble beginnings to achieve success. Recipients of the award serve as role models for young people, demonstrating what can be achieved through the American free enterprise system with hard work and perseverance. In addition to the Horatio Alger Award, Allen Paulson was recognized for his innovative contributions to the field of aviation with the prestigious James Doolittle Award for excellence in management. He received the Wright Brothers Trophy, the Harmon Trophy and the Howard Hughes Memorial Award. Mr Paulson was a great American. He was an outstanding member of the Horatio Alger Association. The Association salutes his memory and mourns his passing. Anything new in aviation caught Allen’s attention. Whether he was in Savannah or in Kentucky with his horses, in Oklahoma, California or any other place in the world, he was always very generous with his time. Any number of times he’d fly to our facility in Michigan to lend a helping hand. I endeavored to reciprocate in any way I could with Allen’s creative projects. I recall quite vividly his active participation in the preliminary design of a supersonic business transport in meetings in Moscow with the Chief Designer of Sukhoi. Various meetings in Savannah followed where everyone seemed to turn to Allen for decision making. Even during his last few months, he provided very useful recommendations for the designers of a new light aircraft being made feasible with one of our new small turbofans. In spite of his worldwide reputation as a powerful industrialist, he was always friendly and down-to-earth, and showed great respect for his employees. Allen deserves his lofty position and he deserves to be remembered by all of us. Only in America can a person with the humble beginnings of an Allen Paulson have the opportunity to become a recognized leader in an industry of his own choosing. Making use of his own hard-earned resources, his determination, and talent, he literally created Gulfstream Aerospace. He developed a company that now sets the standards for business jet aircraft. Allen was a fine man and the most positive person I have ever known. I had the pleasure, privilege and, yes, honor to work for him for about 20 years. I know from day-to-day experience, when you put an idea and Allen Paulson together, you get dynamite! He knew that a good idea was always an opportunity to be successful. Allen’s made his last takeoff. He’ll be sorely missed. 1987: Paulson (L) with Sukhoi Technologies Chief Designer Mikhail Simonov during a meeting in Savannah, showing 1 of several SSBJ design concepts. 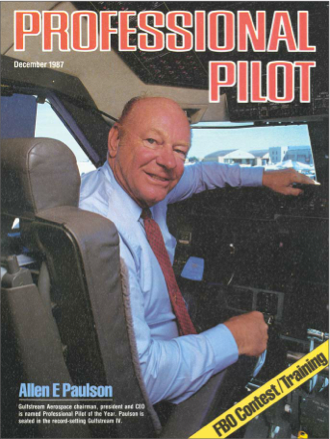 In a rare honor, Gulfstream CEO Allen Paulson was named by Publisher Murray Smith Professional Pilot of the Year and posed in his world record-setting GIV for this Dec 1987 cover. 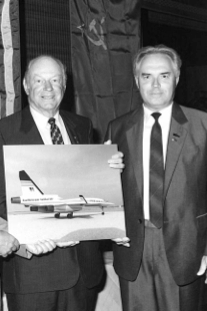 1987: Paulson talks to Gulfstream operators and the aviation press about his plans for a supersonic business jet that will trans- form the future of corporate flying. In 1973 and 74, I worked for Allen Paulson. In fact, I was the very 1st vice president for his American Jet Industries company. Allen was what I would call eclectic in his ability to envision new products. He’d take an idea from here, another from there, a 3rd from somewhere else, add his own concepts and mix them together. His Turbo Star 402 program (a Cessna with Allison B17B turboprops) was just such a product. It went into production and was quite successful. It even became the backbone, at the time, for Scenic Airlines. Allen, above all, was a joy to work for. Allen Paulson joined the elite small group of leaders in aviation when, in 1987, the National Aeronautic Association, in its role as the Aero Club of America, awarded him the Wright Brothers Trophy. Presentation of the award recognized Mr Paulson’s contributions to aviation as a pilot, designer, entrepreneur, industry leader, and employer throughout his career spanning over 50 years. In 1987 and 1988, the NAA con- firmed outstanding and impressive around-the-world speed records established by Mr Paulson and his crew in the then new Gulfstream IV. The records were set in both weight class and unlimited categories for speed around the world westbound and eastbound. 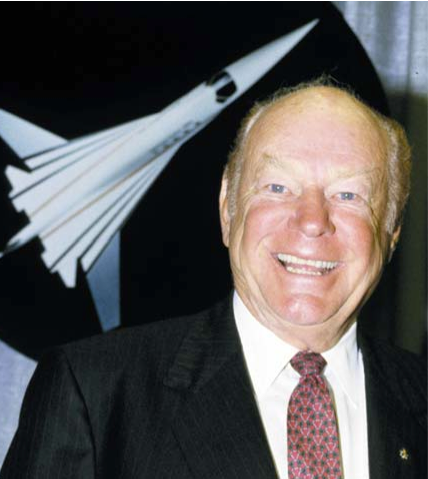 Paulson, who served as a member of the NAA board of directors, was an avid supporter of aviation. His many efforts were truly integral to the continuing success of business aviation and aerospace in general. Allen Paulson was a unique man in many ways. He was an innovator and an entrepreneur, to be sure. And he was a man with good common sense. A good salesman for his products and for what he believed in, he could be shy at times. He was an enjoyable person to be around, even when his horses lost. But even then he was gracious to the winners. Whether it was accumulating aircraft parts, building aircraft, producing Gulfstreams or racing horses, Allen approached everything with the same zeal and determination. He was a character of the best sort and he’ll be missed by all who knew him. My 1st association with Allen came in the late 1970s while I was covering the Reading Airshow in Pennsylvania. Late one afternoon I sat with him in his chalet, discussing aviation. As a result of his question to me, I told him I thought his “Hustler” was not a smart concept. With a small cabin, what pilot wanted an aircraft with 2 types of engine: a turboprop and a jet? I felt comfortable with Allen to the point that I felt he wanted to hear my opinions—not just what he wanted to hear. Our relationship never changed over the years. I did write a story about his efforts to buy Rockwell’s aircraft divisions, which at the time included the Sabreliner. Allen told me later when the Grumman people read his story they called him and said he should buy the Gulfstream program instead. The rest is history. During my years as editor of B/CA magazine, I met Allen Paulson on many occasions before he bought the Gulfstream program. Many journalists, myself included, had suspicions about what Allen could bring to such a prestigious product. We knew him as someone who dealt with used aircraft, conversions and a somewhat controversial design called “The Hustler.” It didn’t take long to realize Allen Paulson was exactly what the Gulfstream program needed to endure. His understanding of aviation as a businessman, his strong commitment to business aviation, and his great love of flying breathed new life into a design that Grumman mistakenly thought of as a dinosaur. Allen knew the aircraft had a great future. He assured that future by providing design improvements, strong marketing skills and management and, perhaps most important, an unshakeable belief in the product and the business aviation market. We all owe a debt to Allen for his insight, courage and drive. He was a big man who took the time to be friendly with the press and others involved in aviation. He was always ready to fight hard for his company while making great contributions to his industry. NBAA was pleased and honored when, in 1994, Allen Paulson accepted the association’s Meritorious Service Award to Aviation. When Allen Paulson bought the Gulfstream program from Grumman, the program really started to “take off.” I got to know him quite well as he started to formulate his ideas for the future aircraft. The high point, without doubt, came when we signed the deal which launched the Gulfstream IV. The deal was actually done at lunch at the Waldorf Astoria in New York. We were sitting next to each other trying to negotiate numbers of Tay engines, payment terms and prices. Neither of us had a piece of paper, so we wrote it all down on a napkin. Another guest at the luncheon, from Chemical Bank, leaned across the table and said, “If you 2 guys are trying to do a deal, you’d better have something a bit more substantial to write it on.” He passed a small card. It sits in a small silver frame in my London office to this day. We sorted out the entire deal on the card. We both signed it (and the napkin) and that deal stuck for all our years of doing business. Allen kept the napkin. We met many times after that. The Gulfstream V and supersonic jets were among our topics of discussion. A vivid, cherished memory was during a visit to his fantastic house in California. He took me around to his horse training establishment and showed me a colt named Cigar. That colt turned out to be one of the greatest horses of all time … but neither of us knew it at the time. Allen was truly larger than life, one of the world’s achievers. It was great to work and be associated with him! Allen Paulson was the 1987 Howard Hughes Memorial Award (HHMA) recipient. A portion of his commendation reads, “Much honored aerospace manager, pilot, designer and manufacturer of corporate transport aircraft; helped to shape the industry’s aircraft modification and maintenance practices.” Paulson’s award was personally presented by William Lummis, originator of the award and first cousin of Howard Hughes. HHMA has recognized such prestigious names as Jack Northrop, Jimmy Doolittle, Kelly Johnson, Chuck Yeager, Barry Goldwater and Pete Conrad, just to name a few. Allen Paulson’s name is now etched in aviation history along with these other notable industry pioneers. My wife Dottie and I had the pleasure of being with Allen at the Waldorf following his selection for the Horatio Alger Award. He followed Donald Trump and NY Gov Mario Cuomo at the podium. He spoke without notes about his love for aviation and what it meant to him and his career—and he did it all without notes. The audience and his fellow inductees rightly congratulated him for his warm and inspirational talk. The creation of the supersonic business jet was our mutual desire from the day of our 1st meeting. It remained so over the years. Allen Paulson and I came from different worlds. We didn’t speak the same language. Regardless, we clearly and mutually understood that business aviation’s future was supersonic. We didn’t ignore the difficulties such a project would need to overcome—and still must surmount. But Allen’s marvelous vision for aviation and his well- known positive approach went beyond the problems that we knew would loom before us. It is difficult to imagine that 2 such different people as Allen and I could become so close and respectful of each other so quickly. We first met at the invitation of Gulfstream’s Al Balaban, in the Gulfstream chalet, on the opening day of the 1987 Paris Airshow. We learned that Allen had earlier watched a practice flight of the Sukhoi Su-27. Its performance impressed him so much he told Al he would like to meet the people who created the plane. We met that day and immediately began to share our thoughts about an SSBJ. The SSBJ is a world project and as such it will go forward. We are as dedicated today to the SSBJ project as we have ever been. We are as committed to the Paulson vision now as we were during our years of association with him. Allen’s quiet, positive spirit was captivating. It remains with us today. 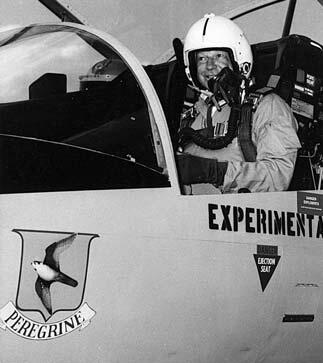 Allen liked everything he did in aviation to be fast. His planes (and sometimes his horses, which he named after aviation intersections) had to be faster than the other guy’s. I can picture him, during breaks from business meetings, poring over maps and navigation charts, planning his next Gulfstream speed record flight. He’d be planning how to get around the world, if possible without wasting any time landing to get some fuel. His clockwise and counterclockwise trips around the world setting speed records in the newest Gulfstreams—1 of those trips beating a 747—proved he knew how to get the job done. Knowing how Allen always care- fully planned his flights, I’m convinced that he studied the charts and planned the trip to be sure he’d get from here to heaven fast and with no unnecessary stops. Anywhere! Tribute Editor Al Balaban was formerly director of corporate and marketing communication with Gulfstream Aerospace.